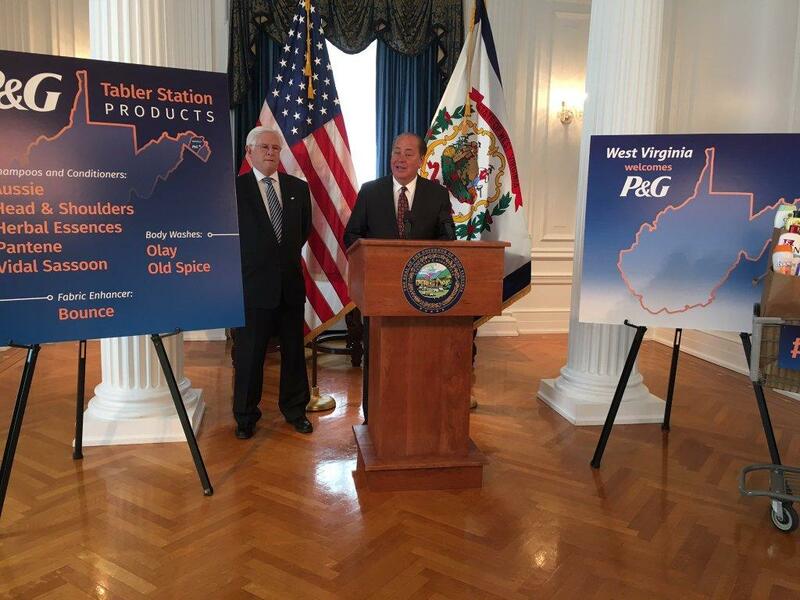 Governor Tomblin speaks at a news conference about Proctor & Gamble on Wednesday, March 30, 2016. The company said in a news release Wednesday that some of the brands it will make at the Tabler Station facility include Bounce fabric enhancers, beginning production late next year; and Pantene, Head & Shoulders, Aussie, Herbal Essences and Vidal Sassoon shampoos and conditioners, and Olay and Old Spice body wash products, all beginning production in late 2018. The company said 800 people have started the application and interview process to work at the plant. To apply, visit http://www.pgcareers.com . 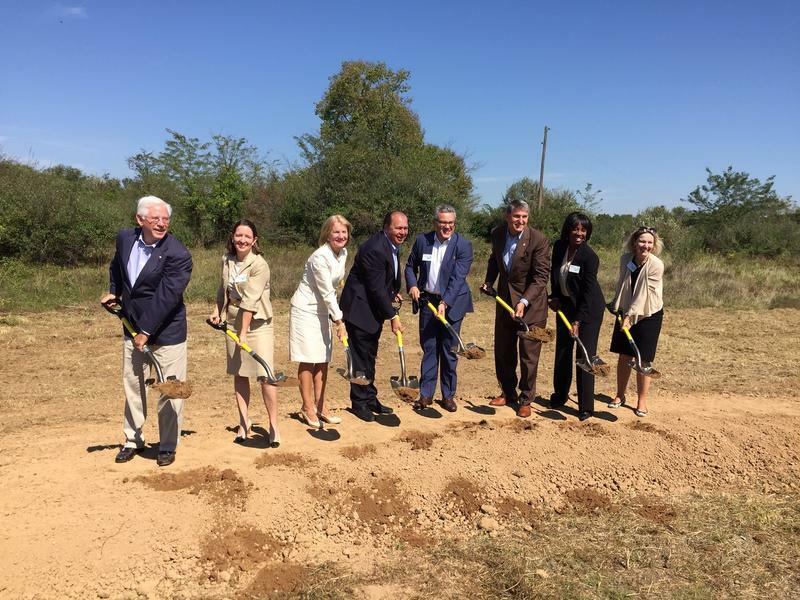 Procter & Gamble's planned manufacturing facility in the Eastern Panhandle is due to break ground soon. The Journal of Martinsburg reports that the Berkeley County plant is due to hold a ceremonial groundbreaking Sept. 18, with construction expected to begin in October. 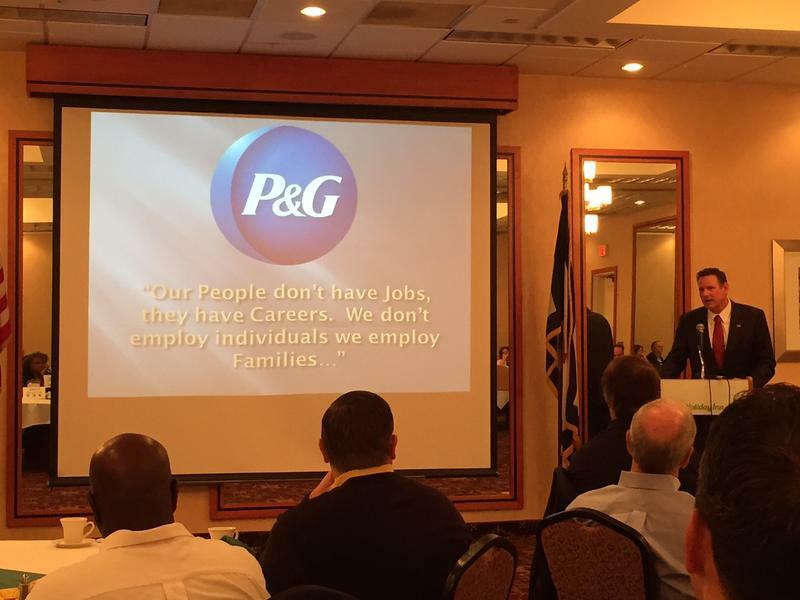 Procter & Gamble says the state's figures for its planned manufacturing facility in the Eastern Panhandle are wrong. 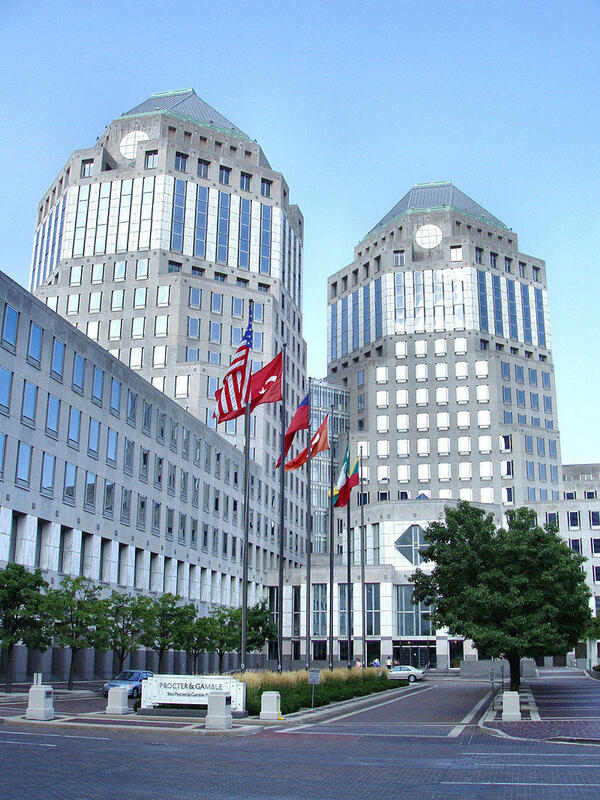 Procter & Gamble spokesman Jeff LeRoy tells media outlets that the company stands by the numbers it announced on Feb. 10. The Cincinnati-based company said then that the plant would be 1 million square feet and would create an estimated 700 full-time jobs.